This started its life as a dissertation, which is usually warning enough. In this case, however, the book is an exciting tale of how French Orthodox theologian Elisabeth Behr-Sigel started thinking about the ordination of women at the age of 70 (!) and changed her mind about it twice—first from being against it to for it, then against her initial reasons for it to better reasons for it. She kept up her advocacy for women in the priesthood till her death at 98.
Who are these people who claim to speak in tongues? Are they Schwärmer? TV preachers promising prosperity to the most generous and naïve of donors? Can you be Lutheran and Pentecostal at the same time? What is "baptism in the Holy Spirit" and how does it compare to baptism in water? This book answers Lutheran questions but even more importantly makes it possible for to talk to Pentecostals as fellow believers in the salvation offered through Jesus Christ. Or so this book is called in Chinese. Based on lectures I gave at China Evangelical Seminary in Taipei in the spring of 2016, it was published in translation in 2017 by Taosheng Publishing House. The English edition, entitled Luther, Thrice, can’t be had for love or money… but it can be had by signing up for my newsletter, Theology and A Recipe. Pretty good deal, eh? Sign up in the box at the bottom of this page, or get a preview here. 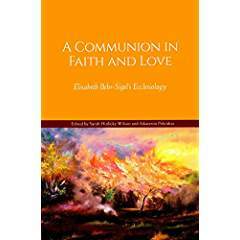 This is a collection of short essays by eminent Orthodox theologian Elisabeth Behr-Sigel, translated from French into English. I wrote the Epilogue. This selection of essays was not authored by Elisabeth Behr-Sigel but is about her, from a conference devoted to exploring her ecclesiology and its implications. I contributed a translation of one of her essays, about the saint Juliana Lazarevskaya, as well as writing an essay on Behr-Sigel’s “New Hagiography” and its ecumenical implications. This important book collects all the extant writings of Gudina Tumsa, General Secretary of the Lutheran church in Ethiopia who was assassinated by the Derg regime, as well as his wife Tsehay Tolessa’s account of their life together and her decade-long imprisonment after his death. I wrote the Introduction and translated Tsehay’s autobiography into English. My husband Andrew wrote this lyrical and insightful account of our 1000-mile pilgrimage from Erfurt to Rome in 2010, attempting to follow Luther’s footsteps 500 years later. Which turned out actually to be 499 years later. Just one of many missteps (pun intended). I contributed the Afterword reflecting on what it’s actually like to walk a thousand miles, along with a recipe for Pilgrim’s Vegetable Stew. 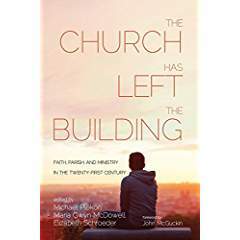 This is a collection by many authors reflecting on the changing face of church in post-Christendom America. I wrote a reflection on my first pastoral call at an ethnically Slovak parish in urban New Jersey. Laughter and weeping guaranteed in equal measure. Boy, 2017 was a great year to be a Luther scholar. The essays here were first presented as lectures at Gordon College. Mine offers an overview of world Lutheranism and makes a case for what is still essential in Luther’s theology for us today. A festschrift for my dear friend and mentor Michael Plekon, himself a pioneer in the aforementioned “New Hagiography.” My essays argues for the integration of the discipline of hagiography into ecclesiology.